Our new Payment API is the easiest way for developers to connect to our Smarter Payment GatewayTM. Start accepting payments in minutes. Reduce abandonment Order amount, order currency and payment card details are the only required fields. Maximize payment conversion rates. Combine the Payment or Payment Plus API with BuyNow Hosted Checkout Pages to optimize the local payment experience and maximize conversion rates in 180 countries. Secure checkout. Our Payment API is available with client-side encryption as well as our fraud prevention services. Managed fraud prevention is an upgrade for merchants using BlueSnap’s existing fraud prevention system. 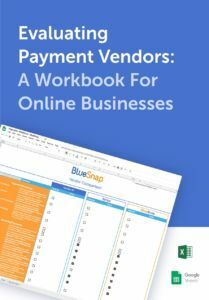 We’ll continue to manage fraud for you, and this service will be included with BlueSnap’s payment processing.Merchants on Managed fraud prevention can customize AVS and CVV fraud rules in the SnapConsole, and will benefit from more advanced fraud rules implemented by BlueSnap fraud analysts. No action is required. You will be automatically upgraded to the Managed offering on our new fraud prevention system in the coming months. You’ll receive an email from us before and after the upgrade. Merchant Configurable is the first of two premium fraud prevention services to be released this year. From the SnapConsole, subscribers can customize blacklists, velocity checks, and other key fraud rules. Enterprise fraud prevention will be released later this year. This service will offer unlimited opportunities for merchants to customize their fraud prevention strategy using Kount’s web console. We have also created a new report to accompany our new fraud prevention services. The Stopped Fraud report is available to merchants that enroll in the Merchant Configurable fraud prevention service. For a specified date range, the report lists all orders that were declined as a result of your fraud settings. You can use this report to determine if your fraud rules are stopping too many transactions and need to be relaxed. You can access the Stopped Fraud report from the Reports tab on the SnapConsole, with our other reporting options. Our processing platform is now operating on the Java 8 runtime environment. This upgrade will allow us to maintain a high level of system security and implement enhancements more quickly. In our last release we made improvements to return a common set of codes across acquirers in our APIs. We’ve continued our effort to improve the quality of our error codes and now provide additional details. Our new error code details will help you identify errors so that you can assist shoppers in completing their orders. If you are using the current acquirer error codes already, you do not have to change your integration. We have partnered with Verifi to offer you access to their Cardholder Dispute Resolution Network? (CDRN) This chargeback management program redirects disputes from the issuer to the merchant and gives you a chance to respond and resolve the issue directly with the shopper. CDRN can prevent up to 40% of fraud and non-fraud chargebacks. Contact merchant support to get started today.